In 2009, right after the Pittsburgh Penguins won their third Stanley Cup, Ray Shero had to look at his championship roster and determine which players would best fit his puzzle for future championships. There was no question that some players would be gone, but the idea was he already had the core. He needed the supporting pieces. Shero focused on two players first who were crucial to their championship run; Craig Adams and veteran Bill Guerin. 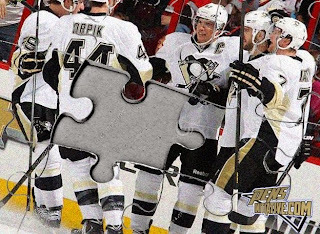 Shero however, on the second day of free agency, lost the most important “Piece” to his previous championship puzzle; Rob Scuderi. Scuderi signed a four year deal with the Los Angeles Kings and the Penguins blue line during those years to follow, was noticeably lacking in what Scuderi brought to their defense. After signing Scuds to a four year, $13.5 million dollar deal this offseason, Ray Shero summed it up best stating; “It was a mistake to let Scuderi go on my part”, and he has a point. Scuderi has brought a level of consistency in every aspect of his hockey career making a name for himself by simply being reliable in his own zone. In almost every way possible, Scuderi adds to any team what you want when trying building a championship; leadership, consistency, strength, and a defensive mentality that is one sharpest in the game. He is the rock to this Penguins defense. That is why this most recent injury, a broken ankle following a hit from David Clarkson, is a very scary situation for a Penguins team trying to doing everything they can to raise the Stanley Cup again. 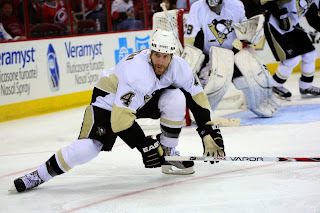 Coach Dan Bylsma addressed fans Monday night admitting: “He has a broken ankle and will require surgery. Timetable wise, we don't have a definitive one on his recovery time but he will be having surgery later this week." 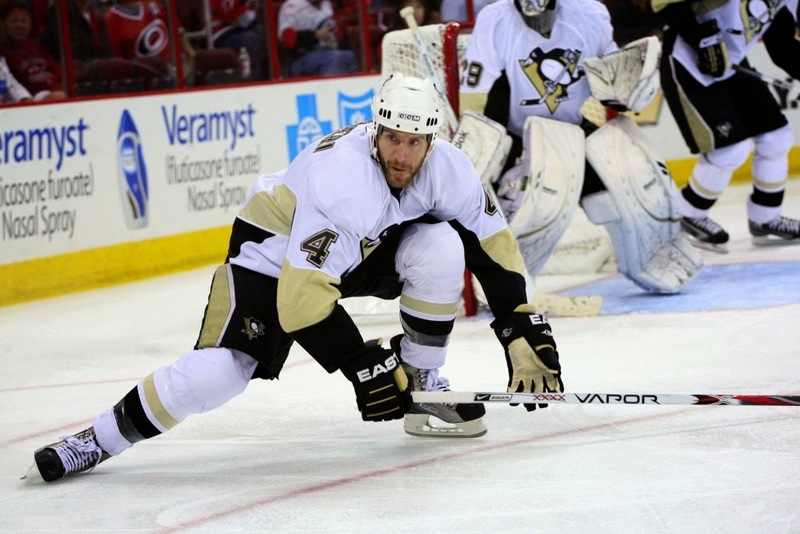 Scuderi has not been injury prone despite his high frequency to willingly put his body in front of a moving puck. He has only missed 10 games since the beginning of 2008-2009 and none since 2009-2010. This season he has averaged 19:12 seconds of ice time in the first 11 games. He has steadily been considered a guy you know will be on the ice for every game, playing those important minutes when your team is in a close game. With questions surrounding the time table for his return, a certain fear has set in for what that means to the defense. The loss to Scuds is even bigger than can be explained. His ability to play such defensively sound hockey allows for Norris Trophy Finalist Kris Letang to play offensively without running as many risks on the defensive side. His presence, especially on the Penalty Kill, will be missed. The on ice contributions are clear as day, but what Rob Scuderi offers in the locker room is just as important. He is a spearhead figure on the Penguins defense and a guy who offers a world of knowledge to the young predecessors of this Penguins defense. Rob Scuderi was coined “The Piece” for a reason. He has his name on the Stanley Cup twice for a reason. He is the model of reliability and the definition of trustworthy. It is impossible to correctly discuss what impact his injury will have on this team and no one is going to try to replace him. No one can. All Pens fans can do is hang tight and trust in their team.